Trust us -- this luxurious dress was made for chic evening parties! 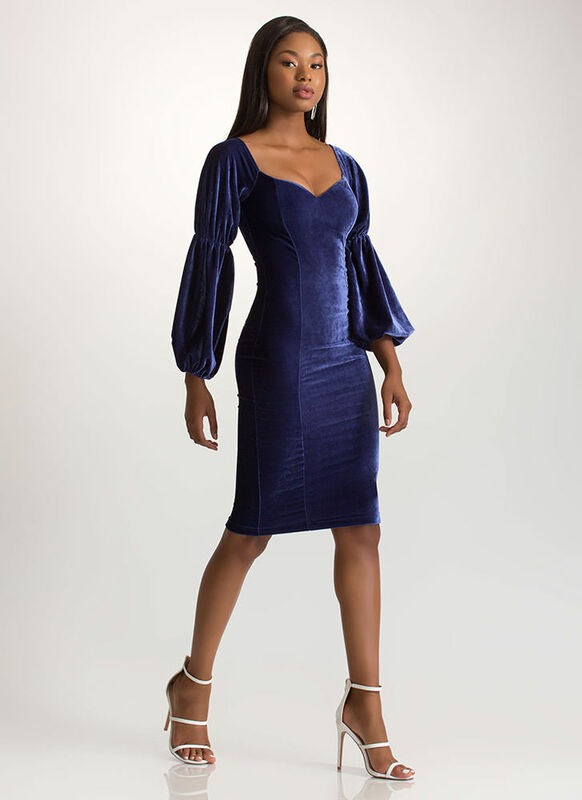 Stretchy midi dress is formed from soft, plush velvet and features a sweetheart neckline; padded cups; and long, puffy sleeves gathered at the elbow and wrist. No closures.